Forged signatures that Denver7 uncovered on petitions for Republican U.S. Senate candidate Jon Keyser would have likely been caught by Denver election workers if he had been running for local office. The Secretary of State's Office only verifies that the name and address on candidate petitions match the name and address on file with the voter's registration. State law does not allow the Secretary of State to verify the actual signature. 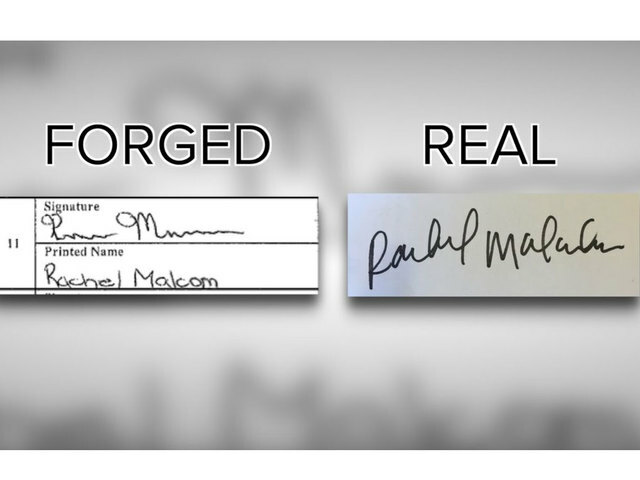 Denver's charter requires Denver election workers to verify the cursive signature on a petition with the cursive signature on file on multiple databases. "Any time we have a petition signature in the door, we actually do a match against the SCORE statewide voter registration database," said Denver Election Division spokesman Alton Dillard. Denver7 was the first to uncover forged signatures on the petitions that helped Keyser qualify for the U.S. Senate primary ballot. Since our multi-part investigation, the Secretary of State's Office revealed that it was warned by a petition verifier that she had concerns in mid-April that some of the petition signatures might have been written in the same handwriting. Two days later, that staffer also alerted the Secretary of State's Office to the signature of a dead voter. Workers at the Secretary of State's Office did not see the similar handwriting and told the staffer to continue verifying signatures. "Our staff is actually trained in handwriting analysis, so they can catch certain things," said Dillard. "We can look at your voter card from back in the polling place days, if you’ve made an address change, if you've updated your voter registration, if you've changed your party affiliation. Anything that's on a form, we can go back [to]." It will require a change in state law for the Secretary of State's Office to also verify the actual signature. Secretary of State Wayne Williams has told Denver7 that over this summer, a group will discuss the possibility of a new law, but that the cost of verifying and the added time to verify will be the biggest hurdles. "It really helps the integrity of the process," said Dillard, about Denver's process. Denver is also the first in the nation to have a digital process for signature collection. Signature collectors can use an iPad to have voters sign directly into an app. They would need to supply their birthdate for added verification. The app also has geocoding that would tell election workers if fraud was taking place. "If someone's in a hotel room with a white pages, and all of a sudden there's 75 signatures that took place within a 20-foot radius, at 11 o'clock at night, we can say, 'Uh, no,'" said Dillard. The mail-in primary election is on June 28.